IMPORTANT: By visiting NicholasSparks.com, you are accepting all of the practices described in this Privacy Notice, and any dispute over privacy is subject to this notice of privacy and our conditions of use, including limitations on damages, resolutions of disputes and applications of the laws of the State of North Carolina. Unless stated otherwise, our current Privacy Notice applies to all information that we have about you and your account. We may e-mail periodic reminders of our notices and conditions, but you should check our Web site frequently to see recent changes which will control retroactively even if we do not notify you of those changes. We stand behind the promises we make. 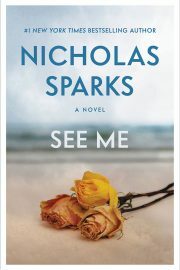 If you have concern about privacy at NicholasSparks.com, please contact us with a complete description and we will try and resolve it. Collection and use of personal information: What information do we collect? Collection and use of personal information: What personal information do we collect? When ordering (if that option is available) or registering on our site, or when you contact us, as appropriate, you may be asked to provide personal information and to enter your: name, e-mail address, mailing address or phone number, contact preferences and credit card information, etc. You may, however, visit our site anonymously and you can choose not to provide us with that information, but you might not be able to take advantage of our many features. 6. We may use personal information for internal purposes such as auditing, data analysis, and research to improve ourselves and what we provide to you. After a transaction, your private information (credit cards, social security numbers, financials, etc.) will not be kept on file for more than sixty (60) days. If and when we request credit card for orders, we will reveal only the last four digits of your credit card numbers when confirming an order. Of course, we transmit the entire credit card number to the appropriate credit card company during order processing, and you agree to allow us to do so. If you do give us your credit card information, it is important for you to protect against unauthorized access to your password and to your computer. Be sure to sign off or log off when finished using a shared computer. In some of our email messages, we might use a “click-through URL” linked to content on our website. When you click one of these URLs, you will pass through a separate web server before arriving at the destination page on our website. We track this click-through data to help us determine interest in particular topics and measure the effectiveness of our communications with you. If you prefer not to be tracked in this way, you should not click text or graphic links in the email messages.